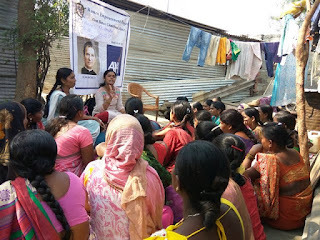 Chinchwad (Pune): As part of the on-going “Women Empowerment” project by Don Bosco and AXA. 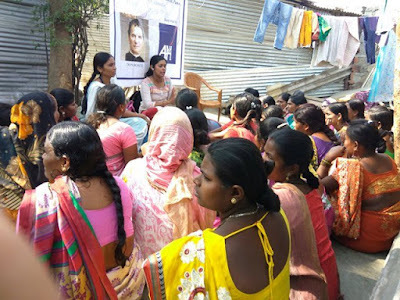 36 women residing in the Khadi Machine (Chinchwad) slum participated in a Health Awareness session conducted by Don Bosco, Chinchwad. The resource Person; Lalita Choudhary spoke about the physical and mental health and its relationship to sanitation. As the participants were young she adopted life cycle approach in her session. This session also educated them of reproductive and child health. 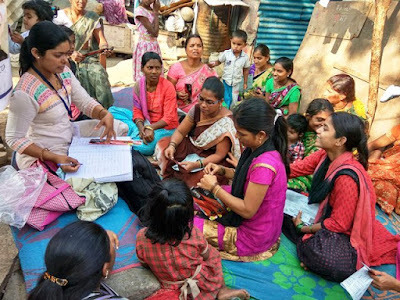 In the second part of the session Lalita spoke about the safe and effective birth control methods. 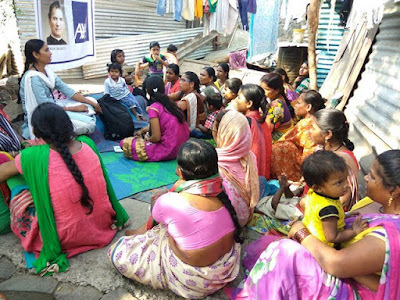 There was question and answer session at the end in which ladies asked many questions related to their personal and child health.